If you are in the process of setting the tile and the thin-set mortar is still fresh, simply run your margin trowel under the surface of the tile to break the suction created by the thin-set mortar and remove the tile. If you have already set the tile and the thin-set mortar has cured, you will need to take a different approach. Cut through the tile assembly down to the substrate around the tile to be replaced. Remove tile, DITRA, and thin-set mortar from the substrate, taking care not to disrupt adjacent tile work. 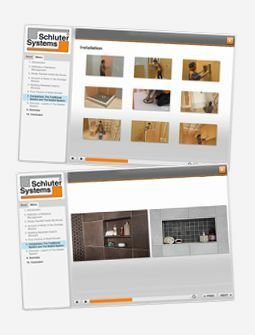 Reinstall a new section of DITRA and tile using the appropriate setting materials per the Schluter-DITRA Installation Handbook.